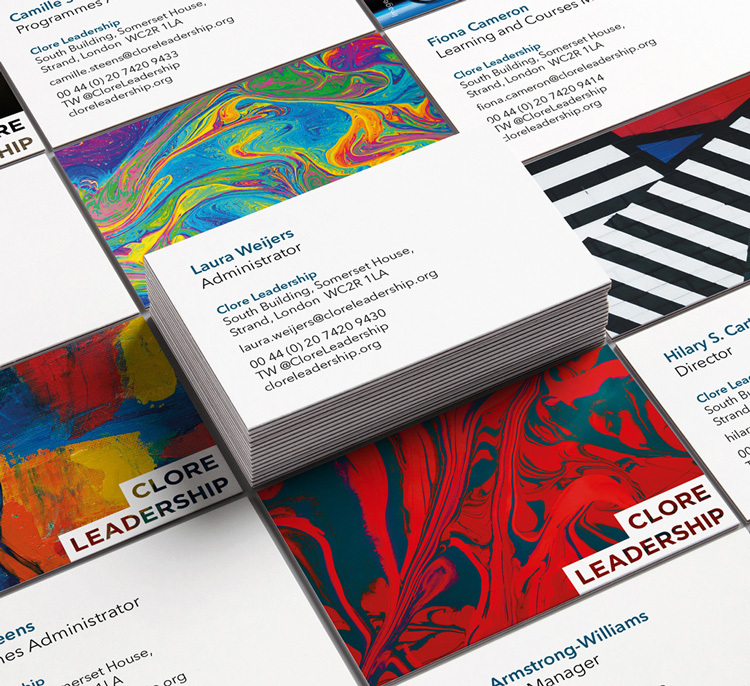 Interabang has designed the new branding for Clore Leadership, a platform which provides resources and advice for senior leaders in the creative sectors. 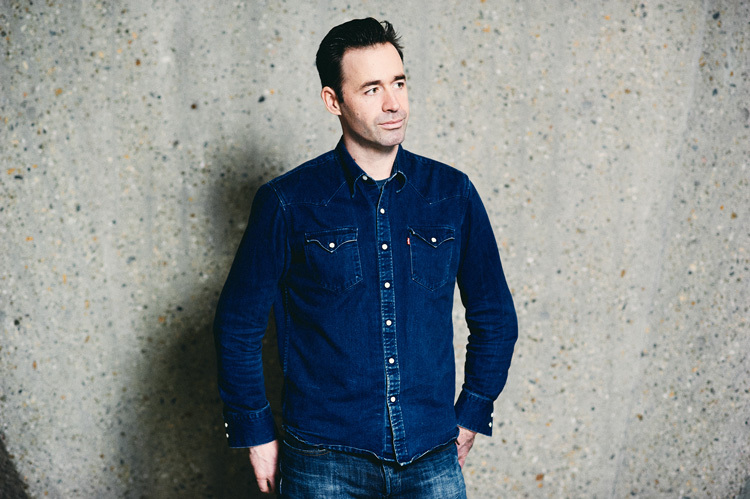 The organisation offers leadership development events and programmes, as well as panel discussions, talks, debates and provides members with access to a network of heads of creative businesses. The design studio’s new visual identity for the company centres around the idea of it being a “platform for change”, and so features a series of evolving, swirling, multi-coloured graphic patterns. The name of the organisation has been changed from The Clore Leadership Programme to Clore Leadership, and the logo has been kept simple, with the wordmark set in an all-capitals, bold, sans-serif, encased within two rectangular shapes. Across marketing, the logotype is often transparent, so that the colourful backgrounds the logo is set against seep through. Dramatic photography accompanies the new identity. 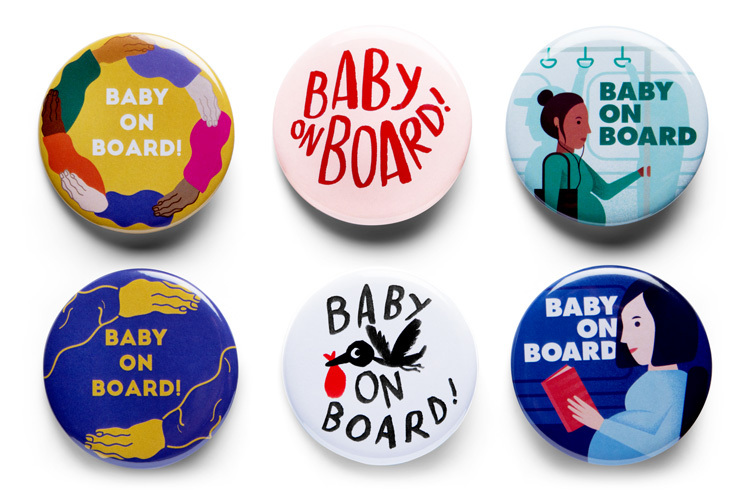 To mark Mother’s Day this weekend, two graphic designers and one illustrator have reimagined the Baby on Board badge, which encourages train-travellers to offer mums-to-be a seat. Illustrator Marion Deuchars, and designers Eric Aniker and Ellie Thomas have each created two designs, resulting in six new badges. Deuchars says she wanted to create designers that were “striking and fun” while being “attractive enough for people to want to wear”, adding that making them eye-catching was particularly important to alert travellers to pregnant women, and help ease the feeling of “vulnerability”. 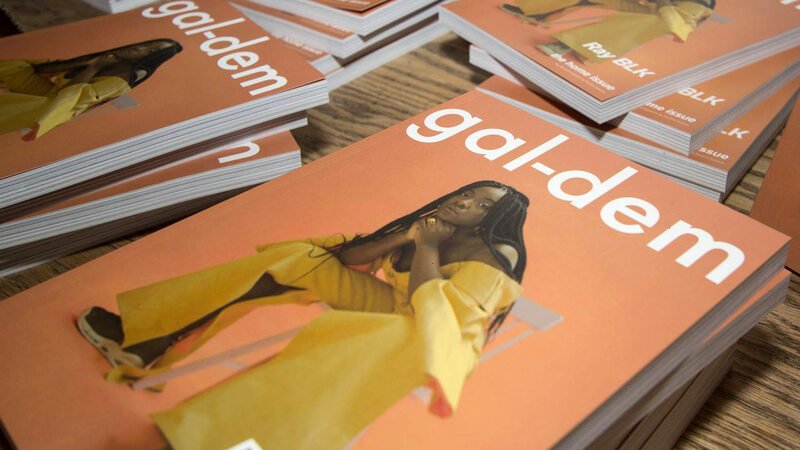 Deuchars says her designs focus on her own experiences of pregnancy, while Aniker has been inspired by the idea of community and inclusiveness in London, and Thomas has gone for a literal approach, depicting travelling, pregnant women. The project was spearheaded by kids’ event and activity app Hoop, and the badges are all free to order online now. One of this month’s Google Doodles – whereby the search engine transforms its homepage logo into something topical, often using moving image, video and interactive elements – celebrated the life and work of German classical composer, Johann Sebastian Bach. It would have been a travesty to commemorate him without sound, so using artificial intelligence (AI), the Google Doodle team has created an interactive musical score, where people plot on musical notes of their choice, and the Doodle then turn these into a melody inspired by Bach’s signature style. Having produced video games and 360-degree films before, this is Google’s first ever AI-powered Doodle. Another clever use of AI is from technology company Nvidia, which has created GoGap, software that can transform mindless, chaotic scribbles into beautiful and realistic paintings of landscapes. 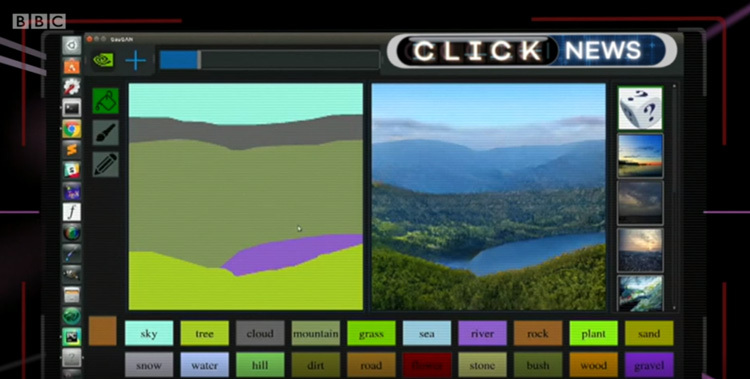 The tool contains a library of images of existing landscapes, and can match squiggles, lines and filled-in blocks of colour with similarly-structured landscape imagery – meaning you can draw a brown background with a blue line down the middle, and it will turn it into a mountainous waterfall. This could be a tool both for designers seeking image inspiration, and for anyone seeking a bit of fun. Check out the tool here. What might classic Roald Dahl child character Matilda look like as an adult? Illustrator Quentin Blake, known for creating the artwork for Dahl’s children’s book, has marked 30 years since Matilda was originally published with eight new versions of the character, inspired by the talents she has in the story, including her incredible intelligence. 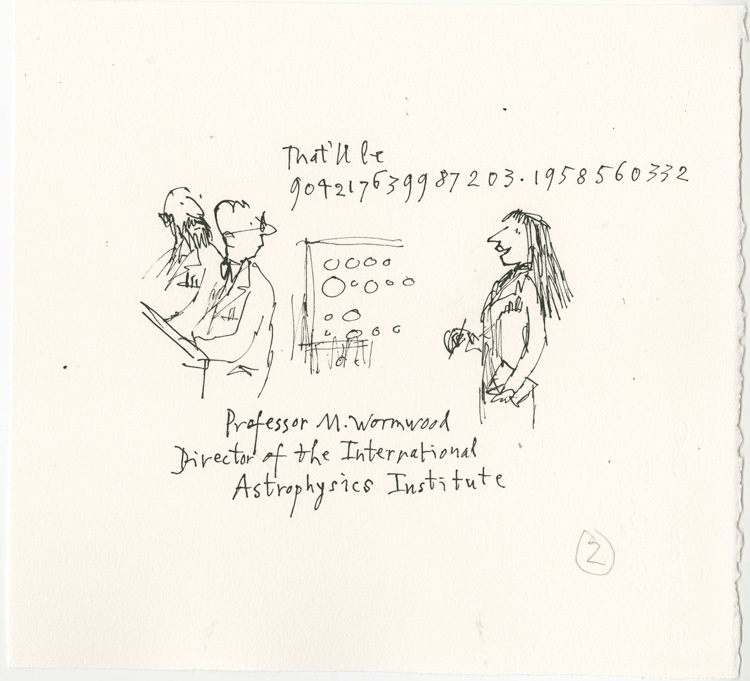 An exhibition at the Roald Dahl Museum, which opened on 7 March to mark World Book Day, is currently showcasing these drawings, alongside prints of Blake’s original Matilda book illustrations. 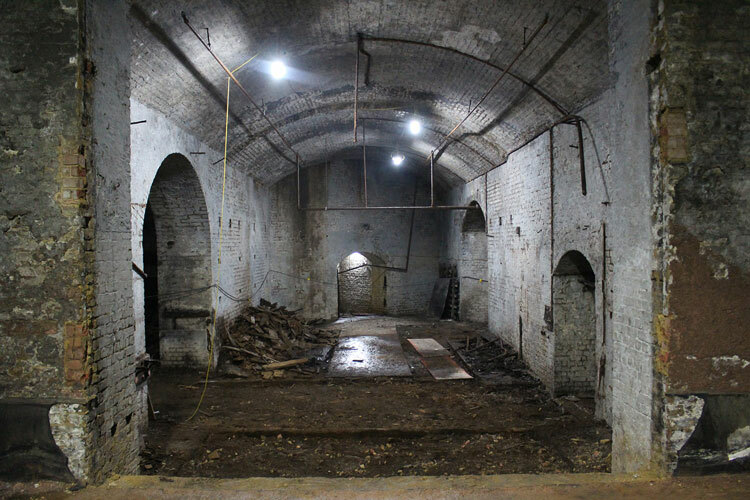 It’s on until 2 June, and access to the exhibition is included in museum entry, which is £7 for adults. Nintendo Labo is a series of tech-inspired kits, that work alongside the Nintendo Switch console, with previous sets including the variety kit, which encouraged children to code and build their own cardboard objects, such as fishing rods and pianos, which could then be used to play video games. 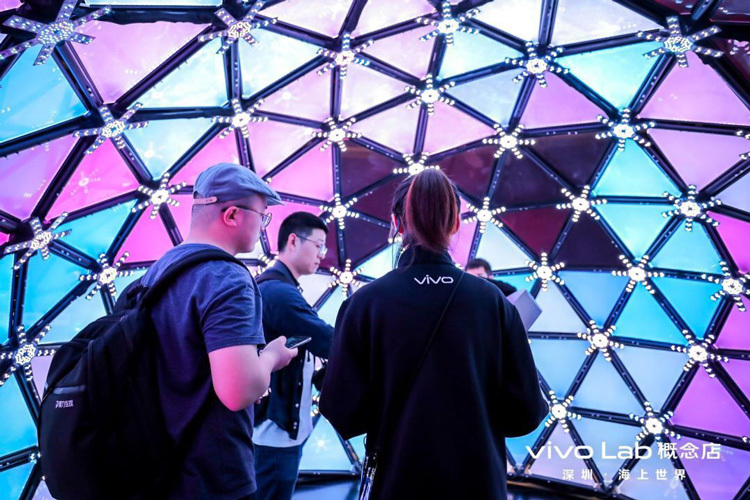 Its latest venture is a virtual reality (VR) kit, which lets kids build their own VR headset out of cardboard, as well as other items such as a camera and screen-blaster. Once they’ve done that, they then use their creations alongside VR software, enabling them to immerse themselves in a make-believe world. 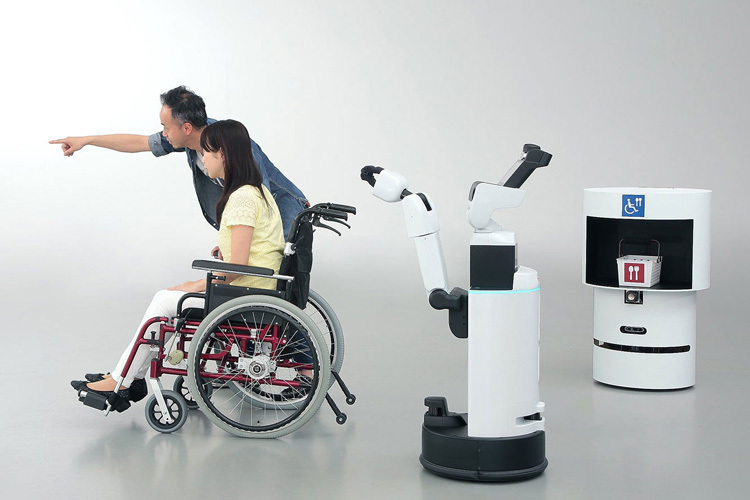 The committee of the upcoming Tokyo Games has announced it will be using a series of different robots to assist wheelchair-using spectators at its various events. Coming in all shapes and sizes, the set of physical robots (not AI) will carry food and drinks, guide people to their seats and display event information, as well as performing other duties, which will be announced closer to the time. Hirohisa Hirukawa, head of the Tokyo 2020 Robot Project, says the venture is “not simply about exhibiting robots but showcasing their practical, real-life deployment in helping people.” The robots are being designed and manufactured by a range of tech giants, including Toyota Motor Corporation and Panasonic. Barcelona-based creative and co-working space Lacapella has been given a new identity by design studio Folch, which looks to bring it closer in style to a museum or cultural centre and move it away from its previously “institutional” feel, Folch says. The new branding is based on the architecture of the building, and centres around a line-drawn, arch graphic, coupled with a simple, sans-serif logotype. The wider identity is stripped back, focused on a monochrome palette, simple line-drawn graphic shapes, such as the semi-cylindrical arch and different-sized rectangles, then accented with some brighter photography of various artworks. It has rolled out across all touchpoints, including print marketing and advertising, signage and building interiors, and digital platforms. 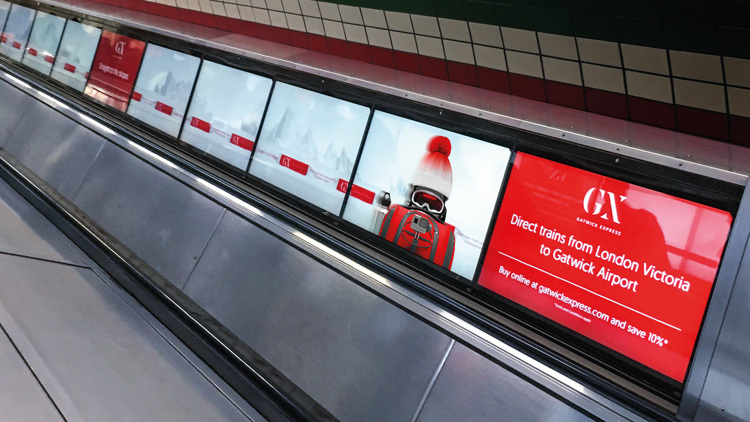 The Team has created a set of moving advertising posters for the Gatwick Express, the fast train running from central London to Gatwick Airport, which will feature along the full length of escalator billboards at London Underground stations. The visuals are three-dimensional (3D) and feature three main characters who represent different types of air-travellers: a skier, a sight-seeing tourist and a business traveller heading away on a work trip. 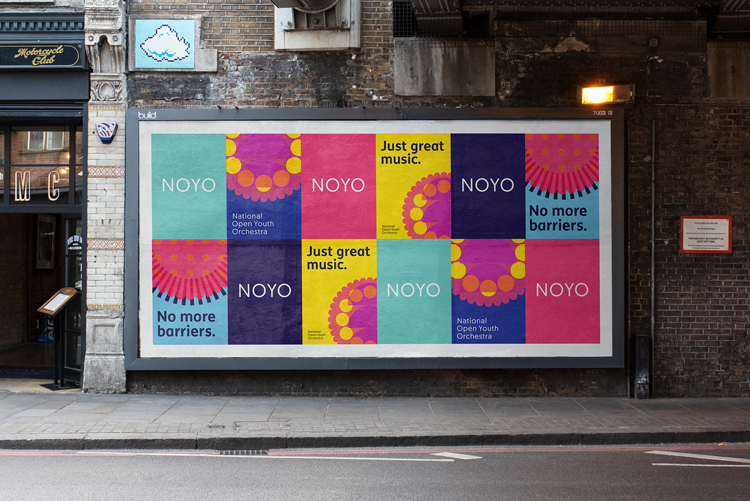 As well as on digital billboards, the ad campaign features in print newspapers and magazines, and across other online advertising.